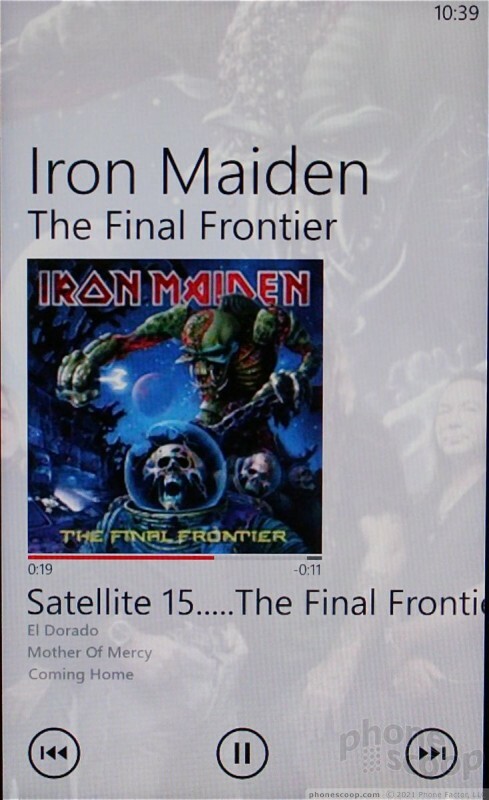 The music experience on WP7 handsets - and the LG Quantum - continues to be excellent. 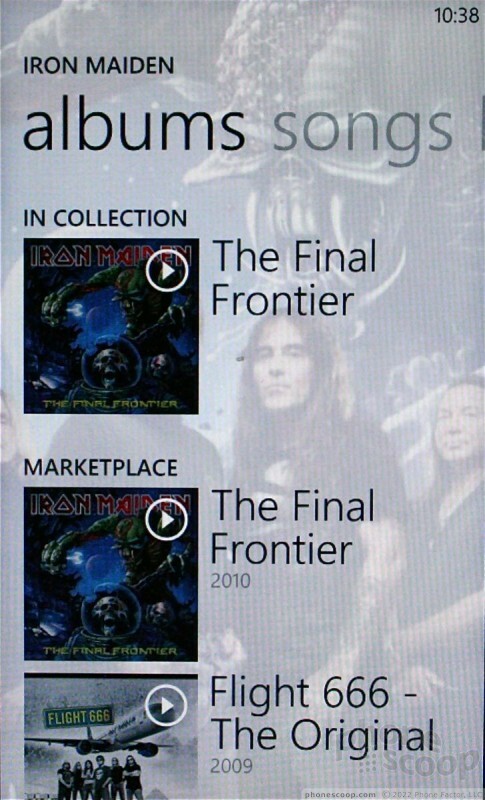 Once all my music was loaded (Mac users need to download the beta sync client from Microsoft), the Quantum automatically went to the Zune Marketplace and pulled down album covers, artist info, artist bios, links to other artist content, and so on. The media player interface itself is easy to navigate and use, and the on-screen controls make controlling your tunes easy. It's also easily sent to the background while you perform other tasks. 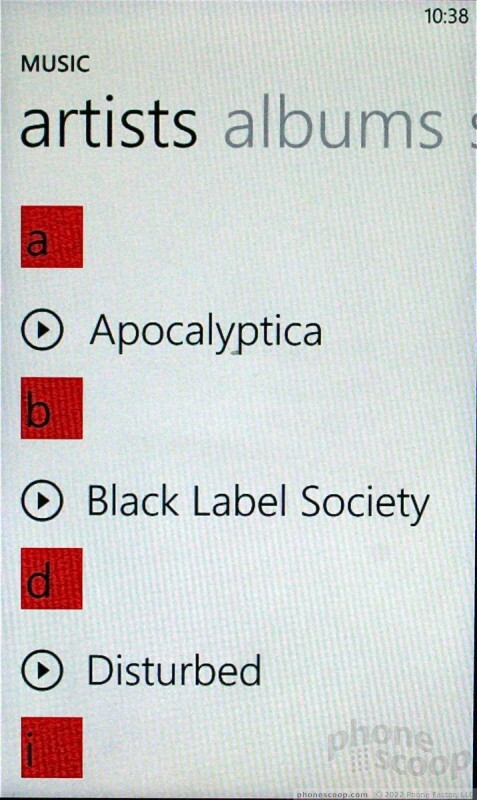 The Quantum's Zune player also offers support for podcasts, radio, and the full Marketplace for buying music. 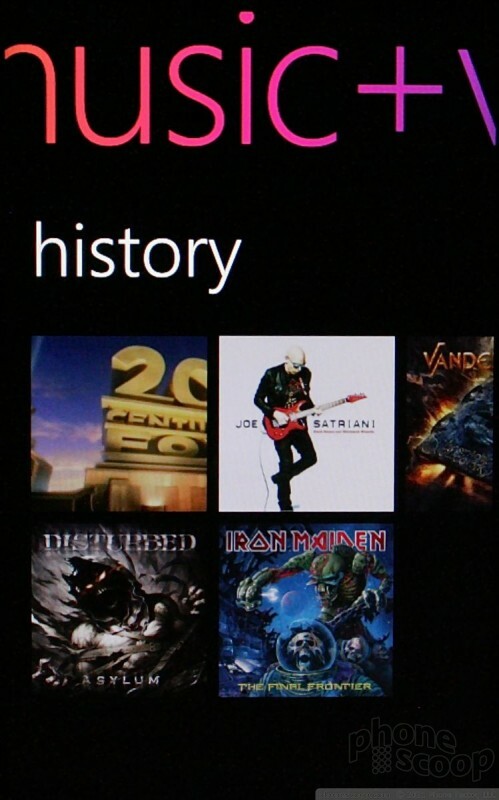 Users can also choose to subscribe to the Zune Pass for a monthly fee. The Zune player handles most of the popular video formats, and the way your content interacts with the Zune Market is great. I thought the Quantum's screen was a bit small for widescreen movie watching, but those movies sure looked great.